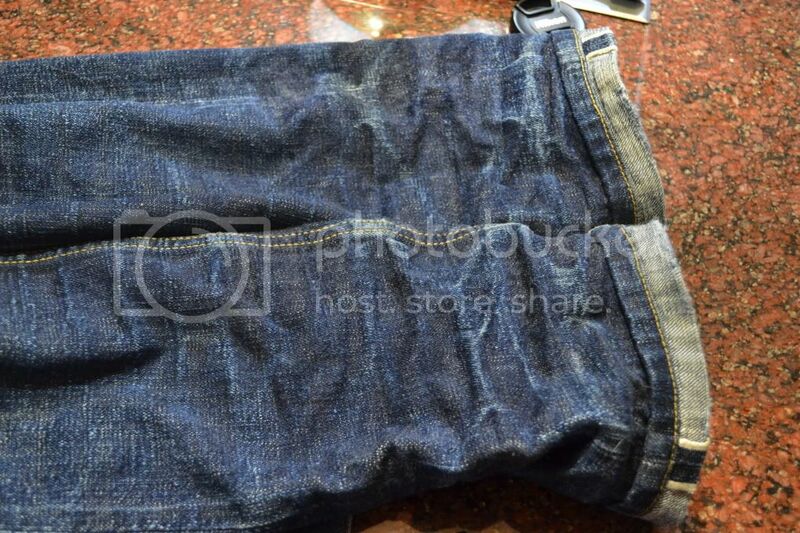 They really wanted to keep the denim sanforized as to appeal to a wearer that doesn't want to soak his jeans before wearing. Yup, hems are chainstitched now. Check the updated spec list, photos are being updated tomorrow. got my imperial duke made in japan. should i soak this pair? since this duke is already sanforized and soaking would not have a lot of shrinking. 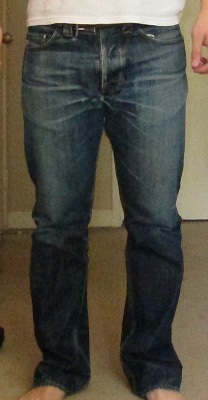 my fit pic, size 29. is it good? 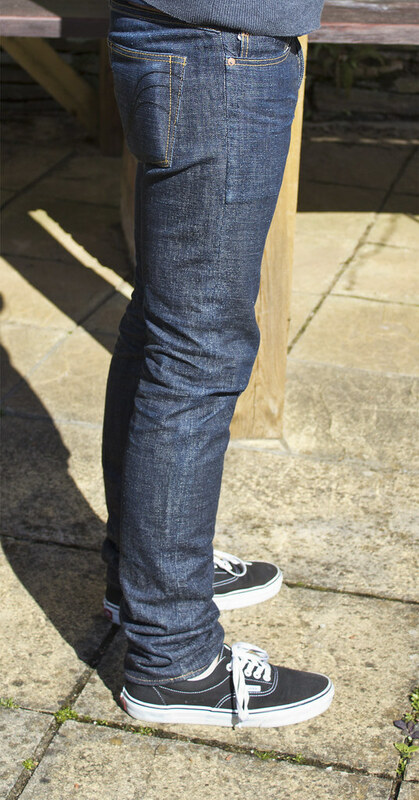 would like to purchase a pair from selfedge. 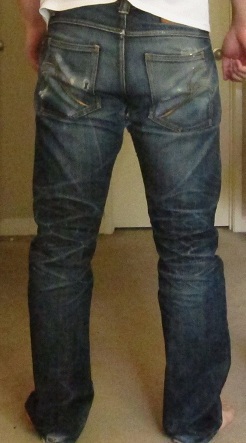 im a 29, wore 28 for n&f skinny guy broken twill. 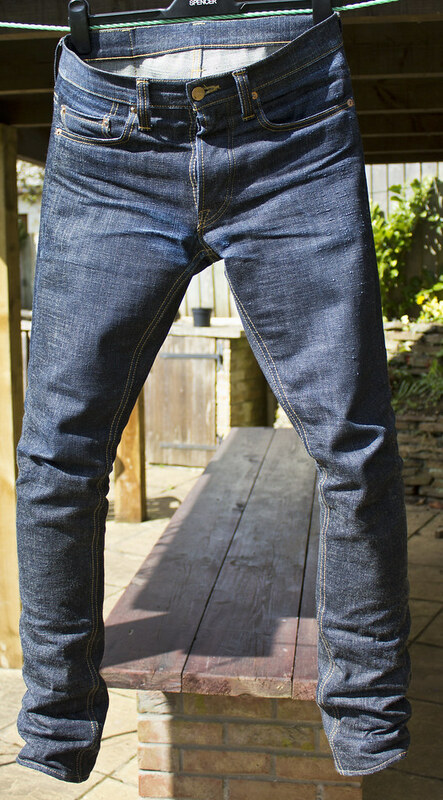 what size do u recommend for imperial denim duke for a bit loose but slim fit, tts, 1-size down or 1 size up? Go true to size, don't size down on these. 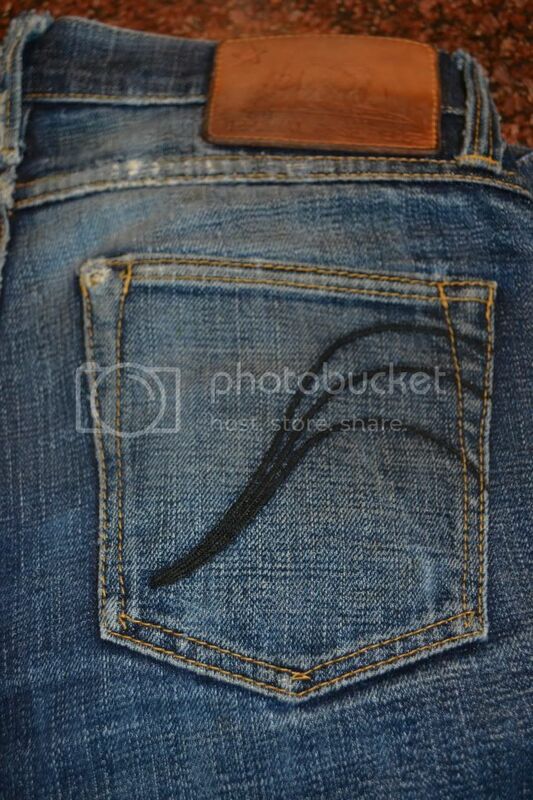 Those look perfect, they only look a bit off because you're tucking in your shirt into a jean that's supposed to be worn with a shirt that's untucked. 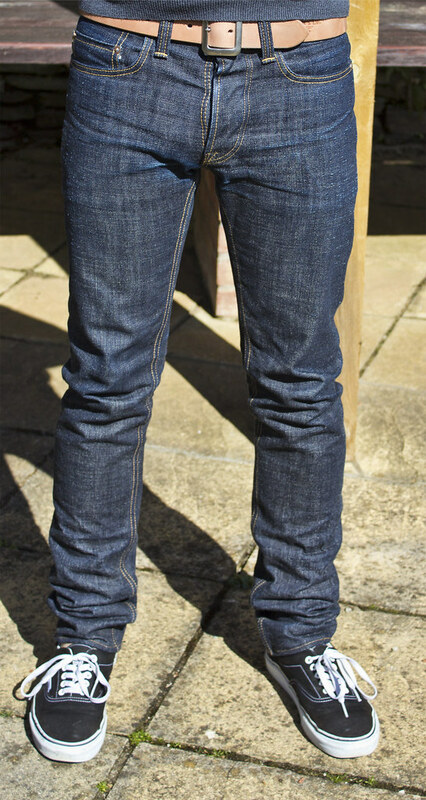 Look at the fit photo from the front, it looks great, the one from the back makes the rise look too high. I gotta agree with kiya, a size down and your top block will be way too uncomfortable. They look snug as is. Yes and the Dukes stretch out generously. At least the old ones made in Oz do. thank you kiya, im still learning on sizing and such. this imperial duke is only my second pair. been aiming for a pair ever since last november but no size available. thank god that they reproduce it with japanese made. thank you for the comment, i was a bit scared when i first tried them on. 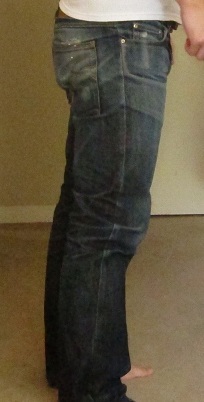 I've got a pair of Duke's sz 31 that were worn twice but they didn't fit me right. bought in Sydney a year and a half ago and have been sitting in a box in my closet since, they're Australian made. 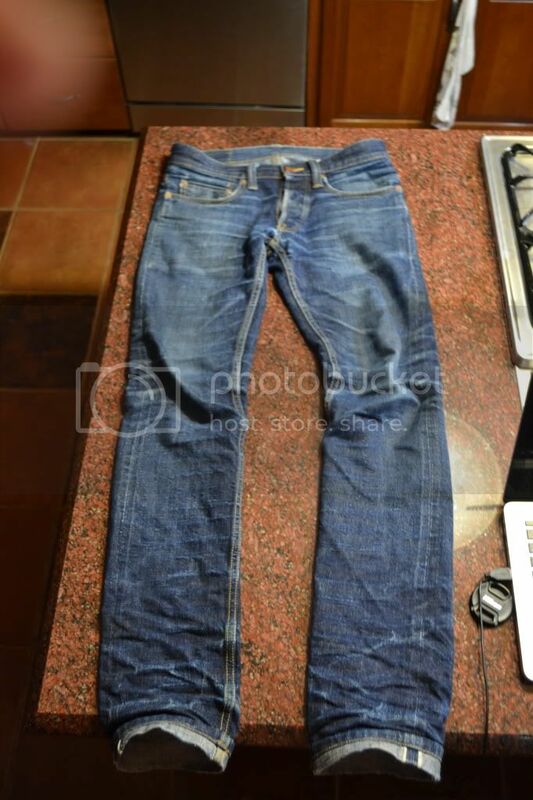 I'm selling them but would also consider a trade for other jeans. 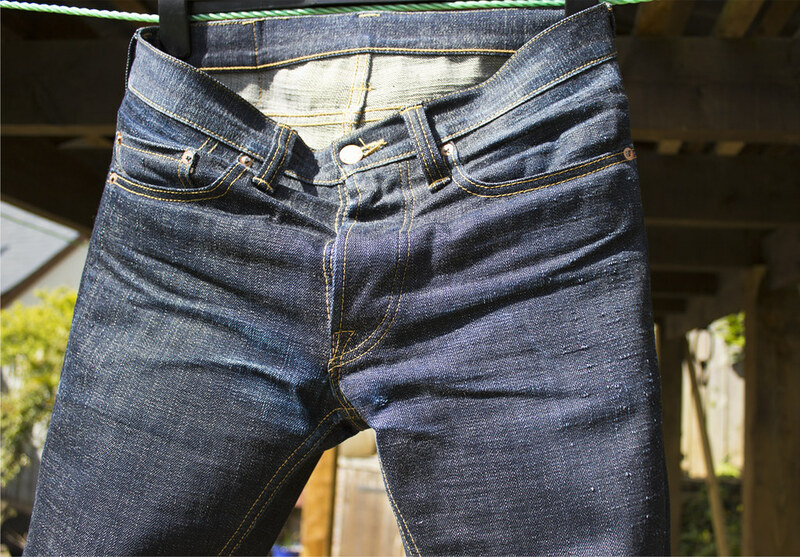 half back of my imperial are wet because of the sea water, but my imperial just got a soak and only like 4 days of wear. what should i do, soak, wash or let them dry? 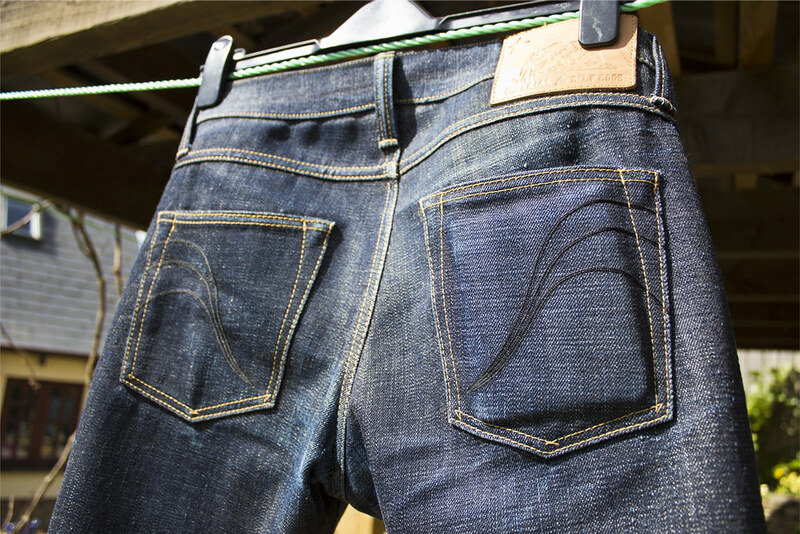 let them dry and remember they're made of denim, they can handle being wet. 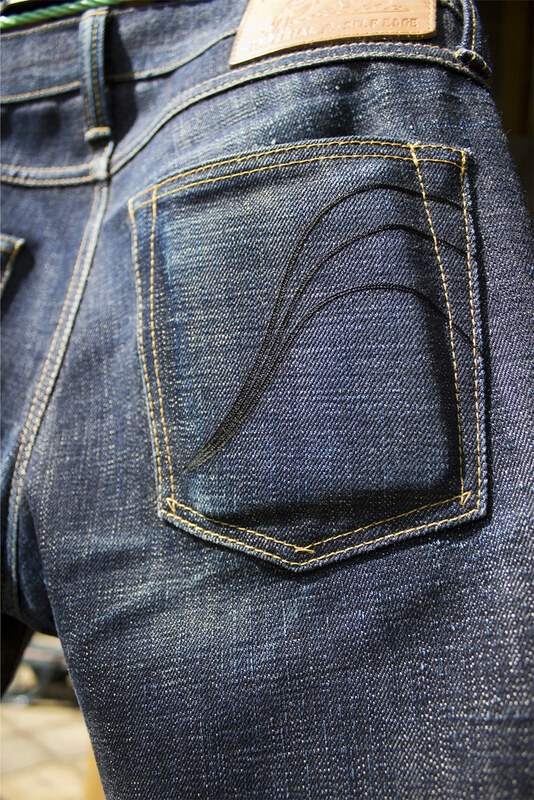 Imperial Dukes, size 32. TTS. 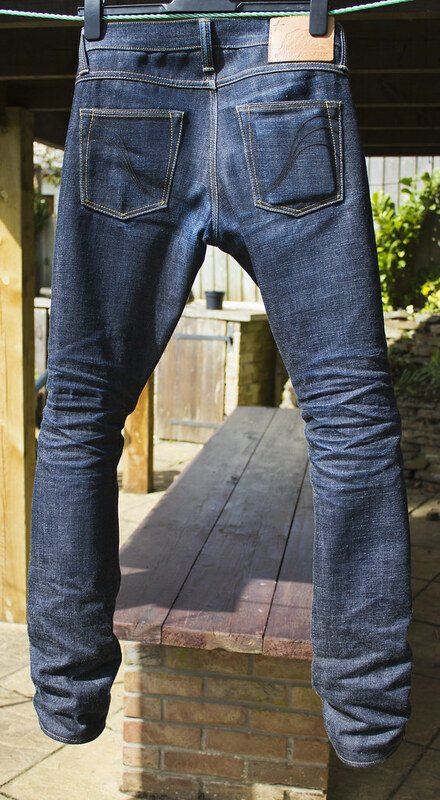 2 years - 3 washes. The pictures above are more representative of their color. Couldn't get the flash right for the fit pics. 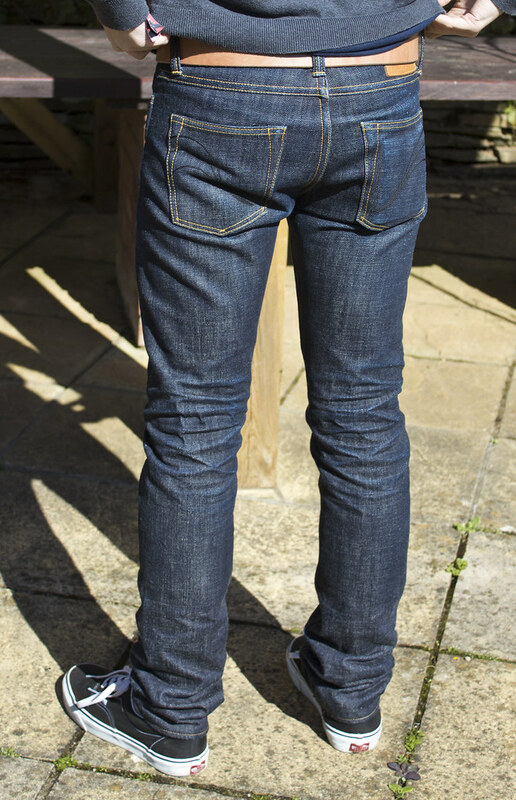 My SEXI14s now are starting to show some more prominent fades and have thankfully now been hemmed so will post some pictures when I have some decent weather/time. Just shy of 11 months. 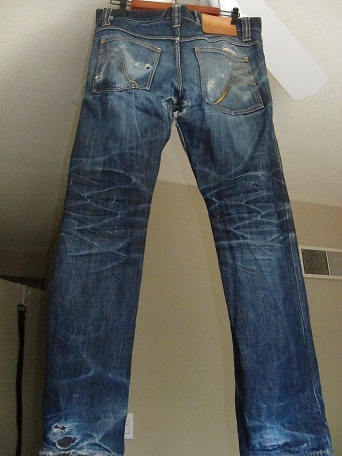 7 soaks, no washes, however will be washing after Coachella which will be a year worth of wear. Just shy of one year of everyday wear. Multiple repairs. Many holes. 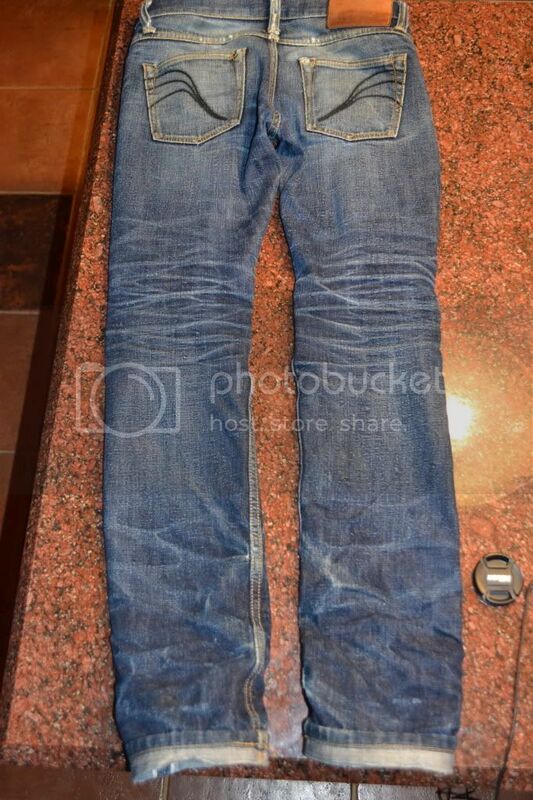 All in all, they had ~8 soaks and a hot wash at 1 year. Wow well done, keep them alive for ever and rock them the hard way. how much wear on these xenvy? They've probably had about 3 months of active wear. 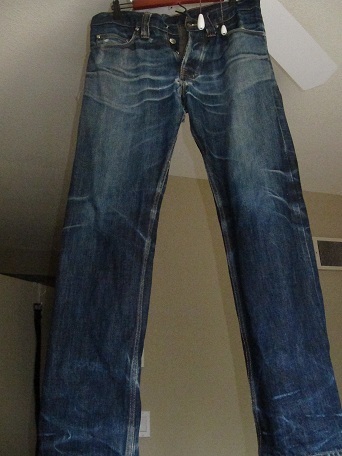 i have a pair of very lightly worn (maybe 30 days of light use) SExI14 sz 34. Hemmed to a 37, then soaked. Inseam prolly at 35.5-36inches right now. 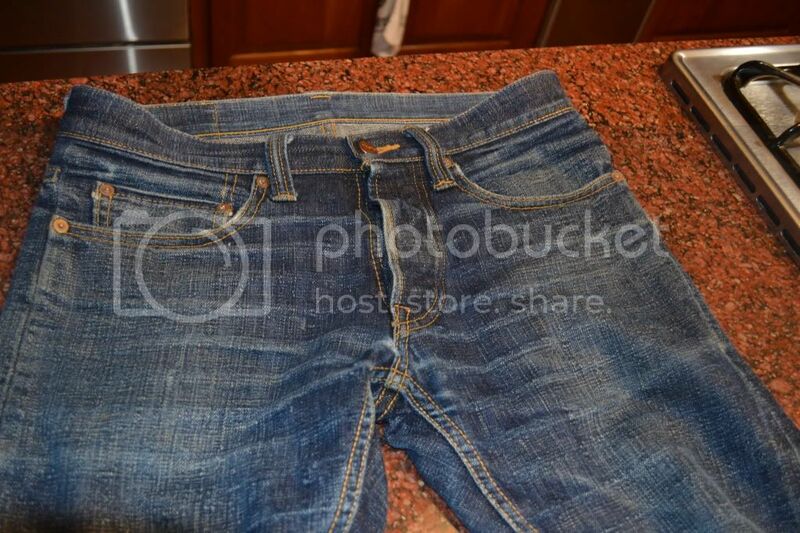 About 10 washes 2 hems and no repairs. 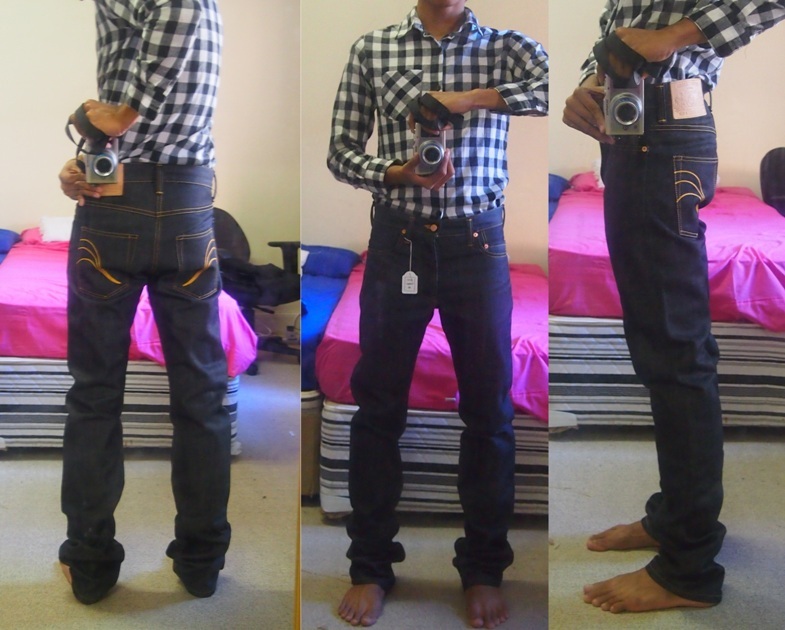 i just received the made in japan shearer jeans in size 29. i pretty much went tts, my waist measures 29.5 inches. here are some fit pix, let me know what you guys think. should i have gotten size 28? i was hoping it would fit a bit slimmer than this. how about a hot soak? 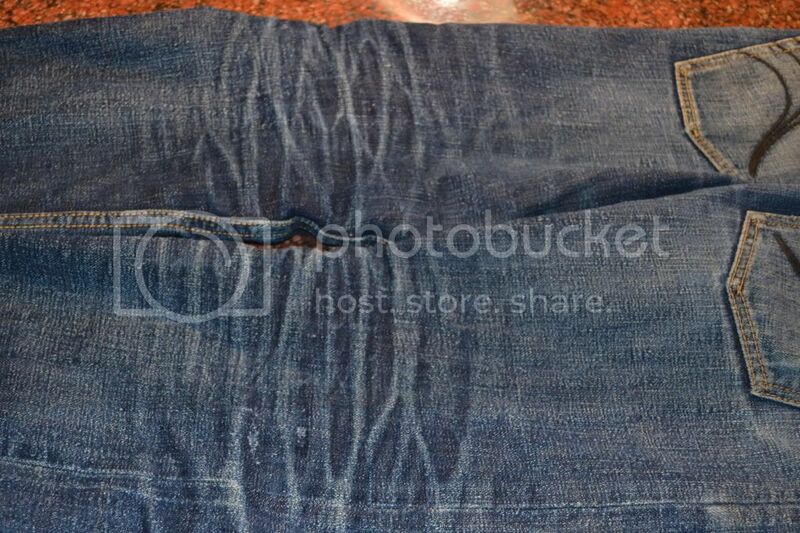 i know it might not do much because it is sanforized so just wondering if anybody has experience with soaking sanforized jeans? thanks!